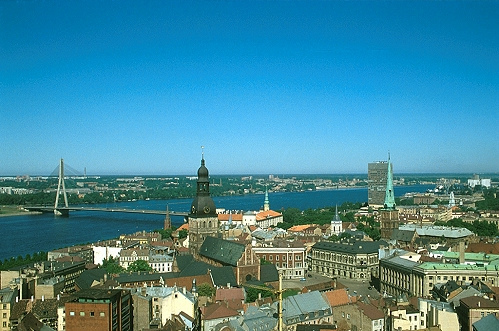 This Saturday, Latvia will hold its first parliamentary elections after suffering the deepest recession in the EU last year. The vote could well determine whether the small Baltic state with its 2 million inhabitants will remain on track for entry into the eurozone in 2014. A recent poll has found that the ruling center-right coalition government of Valdis Dombrovkis still has a slim chance of remaining in power. The government has managed to stabilize the economy with an IMF and EU- backed austerity program. However, uncertainty remains due to an expected strong showing by the left-leaning Harmony Center party, a Russian-speaking opposition minority group, which hopes that anger over the austerity measures will win it most votes and a possible place in government for the first time since the country regained independence 20 years ago.